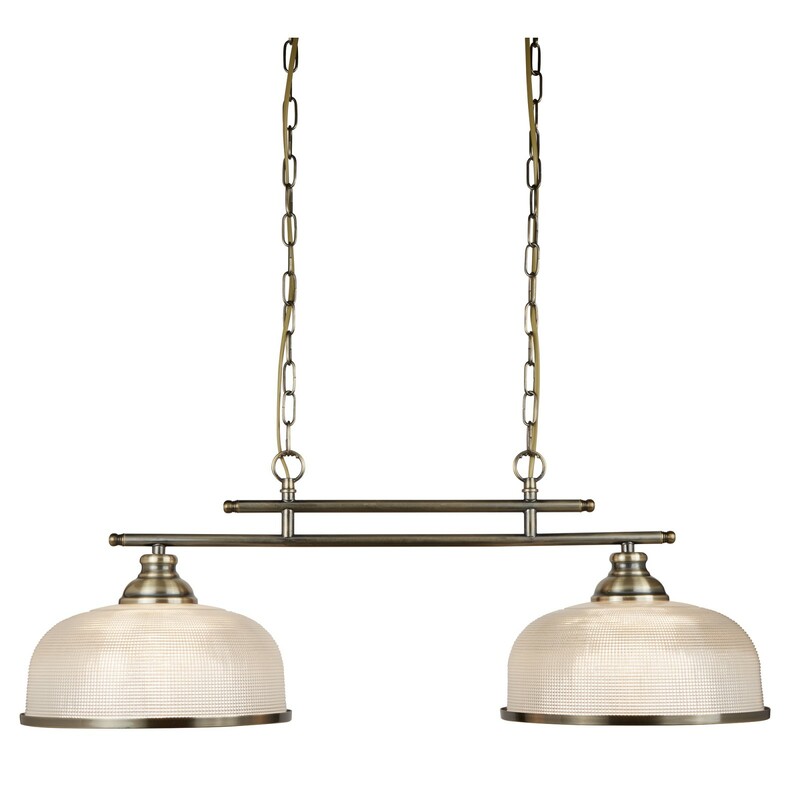 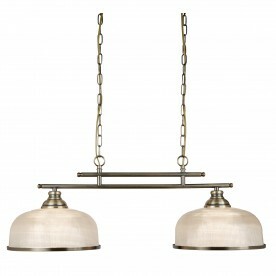 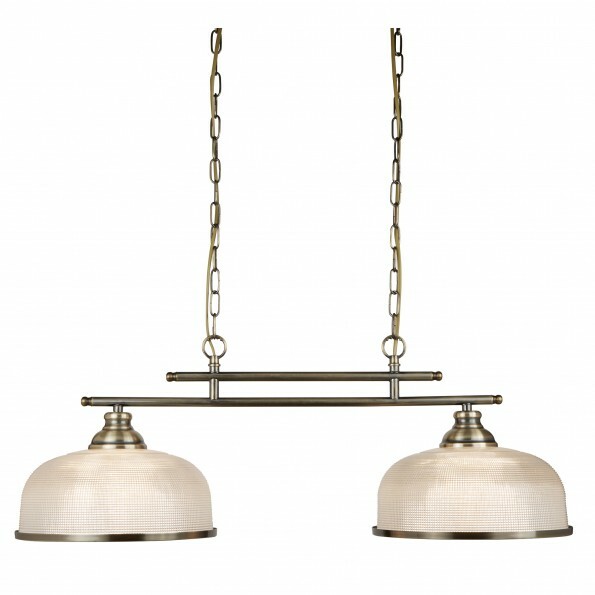 Create a centrepiece for your home using this 2 light antique brass ceiling bar. 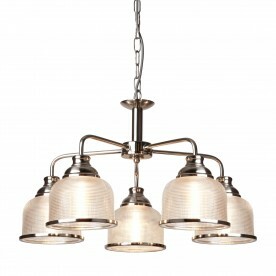 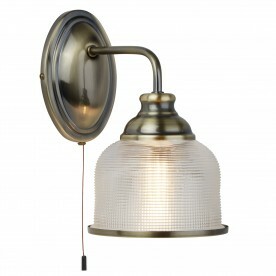 2 lights sit below several bars which provides a modern feel to the overall vintage item. 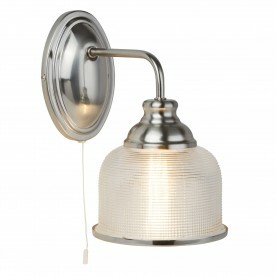 Holophane glass shades the light allowing for a warming glow to brighten your kitchen, ideally above a breakfast bar.